Suitable for candidates intending to build a career in desktop infrastructure. This course and certification training is built around the latest Microsoft Operating System, Windows 10. It provides the fundamental knowledge and understanding operating system configuration, installing and upgrading client operating systems, managing applications and devices, files and folders in Windows 10. Maintenance of Windows 10 operating system is also covered. 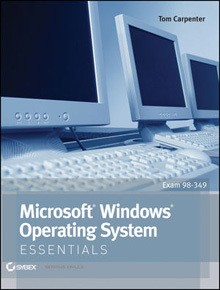 What is included with the Windows Operating System Fundamentals Course?